This is a difficult question to answer properly; there are literally dozens of easy to grow strains out there and beginners will do well with many of them. This is not rocket science, you will find growing cannabis is pretty much like growing any vegetable (yes it is classed as a vegetable)! Before you start looking for seeds ask yourself whether you are going to use autoflowering seeds or not. These relatively new to the scene seeds have rapidly become very popular with growers and with good reason. They offer a quicker grow for one thing. As well as other advantages. Autoflowering seeds just flower into cannabis flowers after 10-12 weeks, some take a little longer, but that’s generally the time-span you’ll be looking at. They are typically feminized, and you don’t have to worry about what time of year you plant them or changing light timers if you’re growing indoors. You plant and water them, and they will grow into lovely buds in most cases. A miracle of modern day cannabis breeding and a gift to the home grower. Outdoors you can just plant autoflowers, and they will grow (from around May-August you can plant autoflowers in the UK.) Indoors they are usually given around 18-20 hours of light each day to get the best from them. Seeds that do not autoflower come into two categories, just to complicate things you have ‘regular’ and ‘feminized’ seeds as well. Regular seeds are as nature intended and considered by many to be the only way to grow weed. Regular seeds will grow into either male or female plants, and you don’t want to be growing males if you can help it. There are no buds on male cannabis plants. Feminized seeds are just that and have been developed to only be female using specialised breeding techniques. They will always grow into female plants with the desired buds forming during the flowering period. Both feminized and regular seeds are what is known as photoperiod sensitive, in that they will start to flower when there is around 12 hours darkness every night. This happens when you change your lighting timers from 18 to 12 hours or outdoors it occurs at or around September time. Each plant has a slightly different flowering length, and flowering trigger time, however. Flowering times tend to take from between 8 and 12 weeks though some more exotic strains can go even longer. Growing strains that flower for a long period is not advisable outdoors in the UK because of weather in the later part of winter – frost will kill off your plant if the damp doesn’t get to your prized buds first. Some weed sends you to sleep. That would be an Indica. Other weed makes you tidy up and clean your house. That’s a Sativa. And that is a very black and white explanation. There are many shades inbetween Indica and Sativa – ie hybrids which are a mixture of a little bit of one or a bit of the other. The general rule is though that Sativas tend to be more uplifting, cerebral and stimulating whereas your Indica will offer more of a body high often with powerful pain killing and soporific effects. Some hybrids offer a wonderful combination of the two qualities, killing pain but also giving you the energy to function. Famous hybrids you may have heard of include White Widow and Northern Lights. Most modern cannabis varieties are hybrids of some sort. Some would say autoflowering seeds are better for beginners, given the quick turnaround and amount of care required. Autoflowers have improved greatly in recent years and make for an easier to grow cannabis plant that also takes less time than growing feminized or regular seeds, generally speaking. They are also normally smaller and so easier to conceal or grow in small areas. No lighting changes to induce flowering make autoflowering seeds a simpler prospect. It has also been my experience that autos in most cases smell a lot less than photoperiod strains when they are in bud. 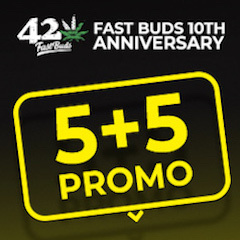 Definitely check out Fastbuds if you are thinking about autos as they have some wonderful examples of US genetics in autoflowering format. All their strains are pretty straightforward to grow. And there’s a page here on high yielding autoflowering strains. Northern Lights comes up a lot in recommendations for beginners. It is a very nice smoke indeed with a strong body effect. It’s an Indica which means it won’t grow to be huge and flowers in a mere 7 to 8 weeks time. You can’t really go wrong with Northern Lights. It also yields really well so you’d get a substantial harvest when flowering is over. It will take some punishment from a first time grower without problem and is suitable for somebody seeking medical benefits from the plant. Should be helpful for sleep, but won’t immediately knock you out, kind of thing. I have to say this plant has delivered again and again over many seasons. It’s always on my list as it’s simple to grow and is a fantastic smoke. Definitely one of my favourite autos of all time. Available here. You can easily get well over an ounce from this autoflowering plant without trying very hard at all. The high is euphoric and uplifting, letting you get your stuff done but also keeping you in a very happy place. I love this plant. More about growing that here. 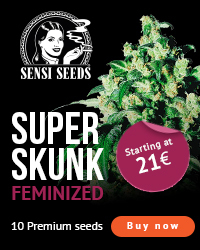 Sensi Seeds have recently expanded their autoflowering offering and their ’Sensi Skunk Auto’ is getting some pretty interesting reviews. I’m very much looking forward to growing this in the future, sounds like it’s a nice choice for beginners too, especially in cold and windy UK climates. As well as their autos, Sensi have a special beginners strains section which is well worth checking out. 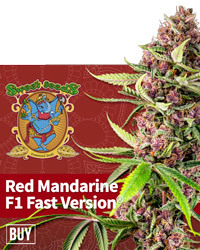 Sensi Seeds genetics have been around longer than most other cannabis seeds. With them you are buying directly from the breeder and can expect the best. Dinafem XXL Autos are pretty impressive. Personally, I’ve only grown their Cheese XXL outdoors which was easy to grow with absolutely massive buds that literally explode into existence after a few weeks. It was simple to grow – just about grew itself – and the effect is very strong and cheesey. It’s not the same as their standard cheese but is a pretty fun stoned effect, all in all one fantastic plant. 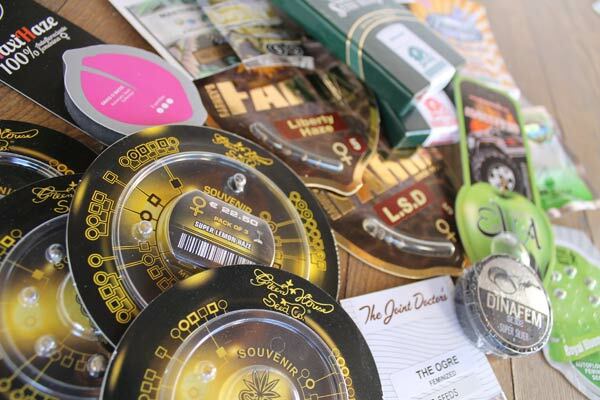 You can also check out the beginners section at Seed Supreme. Please let me know if you have any good recommendations for good beginners cannabis seeds in the comments below. Thanks! Previous post: What are the highest yielding autoflowering strains? Next post: What are the best cannabis seeds for cold climates?